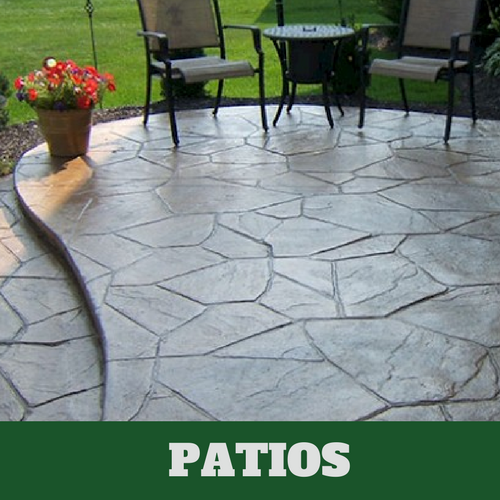 ​Stamped concrete involves stamping patterns or adding color to concrete before it has completely set. 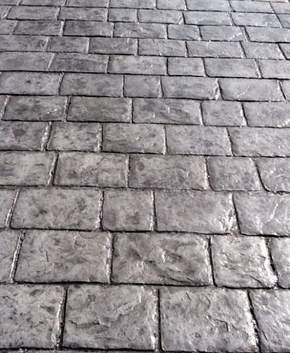 This gives the concrete different textures and styles without requiring any intensive work. 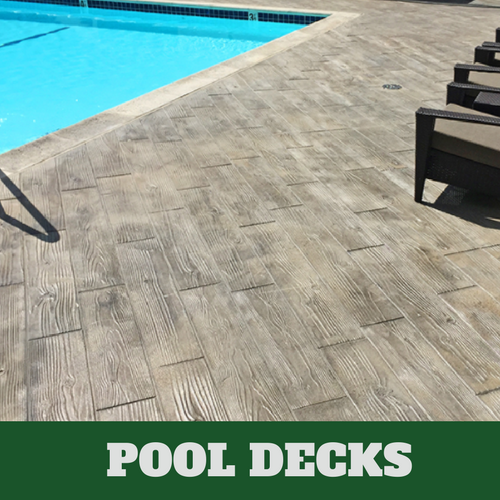 Stamped concrete is a popular choice among homeowners for their driveways, walkways, patios, pool decks, flooring and even interior design elements such as walls and countertops. 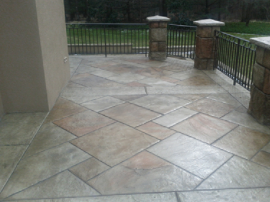 At Grand Rapids Stamped Concrete we provide you with the best service and craftsmanship you will find. We cater to both commercial and residential clients and put the same amount of determination and effort into every job we take on, no matter how big or small. 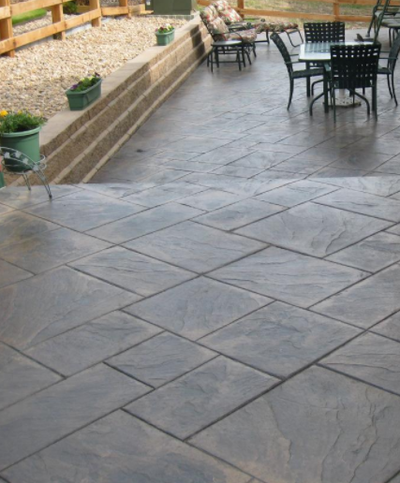 Stamped concrete is popular because of its ability to mimic other styles so perfectly. In terms of look and design, a lot of people are drawn towards options like brick or slate. Unfortunately those options are expensive, difficult and time-consuming to install and require quite a bit of upkeep, which is a turn-off for people who want something simple and easy. 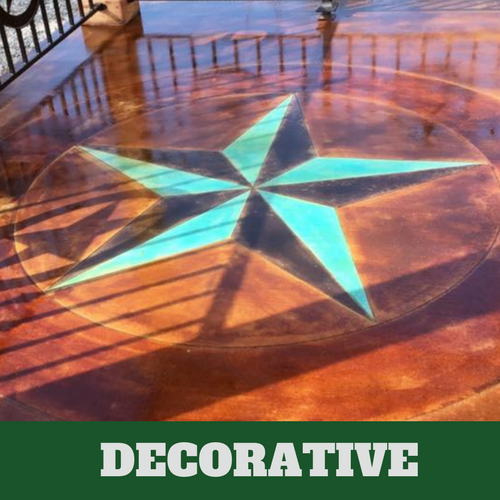 Stamped concrete allows you to have your cake and eat it too. Not only can it be stamped to look like just about anything you want, but it is also notoriously easy to care for. 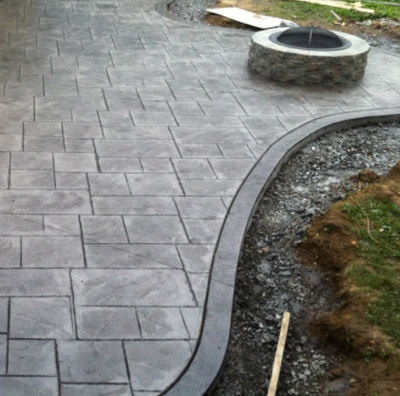 Stamped concrete is extremely low maintenance, which is a big reason why people opt for it when designing their yard. 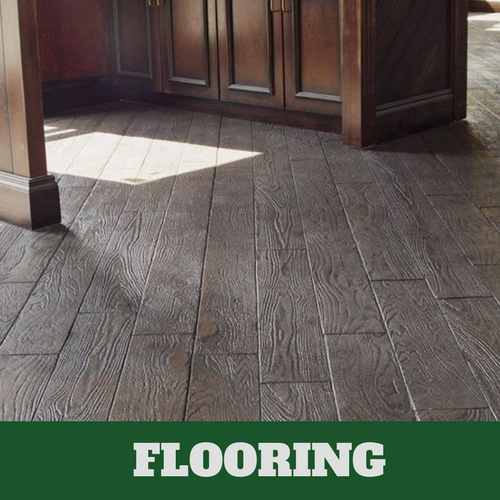 When sealed properly it can last for decades and doesn’t require any extra care or attention, other than sweeping and cleaning like you would any other surface. This is great for people who want their yard to look nice, but don’t have time to spend maintaining it all the time. 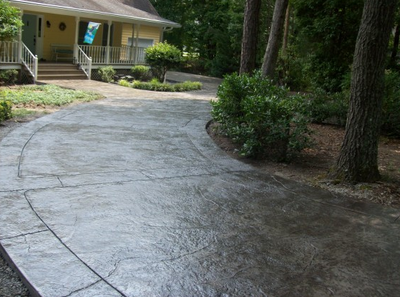 Stamped concrete will hold up year after year and save you money on things like repairs and annual maintenance. 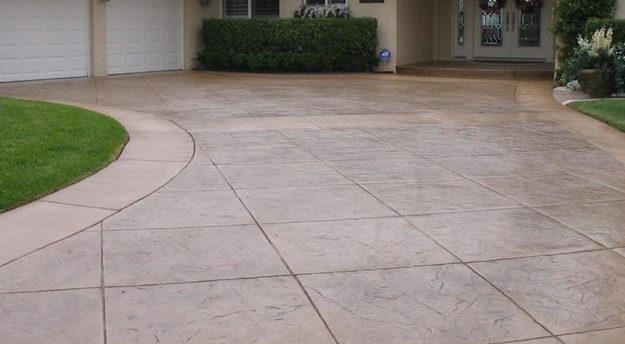 Even though concrete is tough, strong and durable, anything can happen, including cracks, chips and damage. The probability of this happening would be more likely with really old concrete, concrete that is exposed to drastic changes in extreme weather conditions and concrete that was not installed properly. 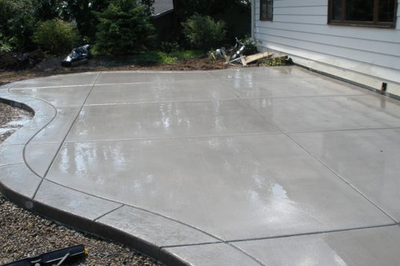 If you are in need of any kind of repair, contact Grand Rapids Stamped Concrete and our team will fix the problem straight away. Don’t leave it sit, or the issue could only get worse. 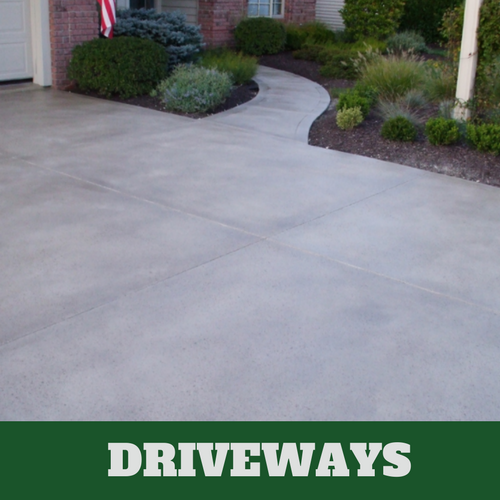 If you are planning to install new concrete, let us take care of that as well. We will make sure that it is done carefully and properly so that you don’t have to worry about issues in the future. 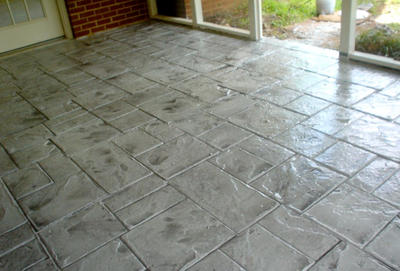 Stamped concrete is not the cheapest option, but it is not the most expensive option either. It is however, the most cost-effective. Cheap options like gravel can seem enticing at first, but they require a massive amount of upkeep and are prone to problems that would require you to replace it every couple of years, leading to an overall higher cost long-run. 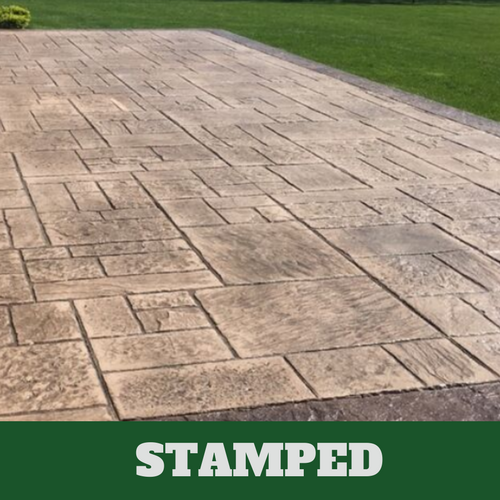 Stamped concrete provides a long-lasting solution, while also giving you some of the luxurious design options that more expensive things like brick and slate can.